As of late AOA has been hinting at an early 2017 comeback, and now, we’ve got solid information on it. The group just released their first teaser image detailing a schedule leading up to the release of the music video for the single off of their first full-length album. Based on the teaser image it looks like AOA will be kicking off their promo cycle with teasers beginning on December 26, with their new music video dropping on January 2. 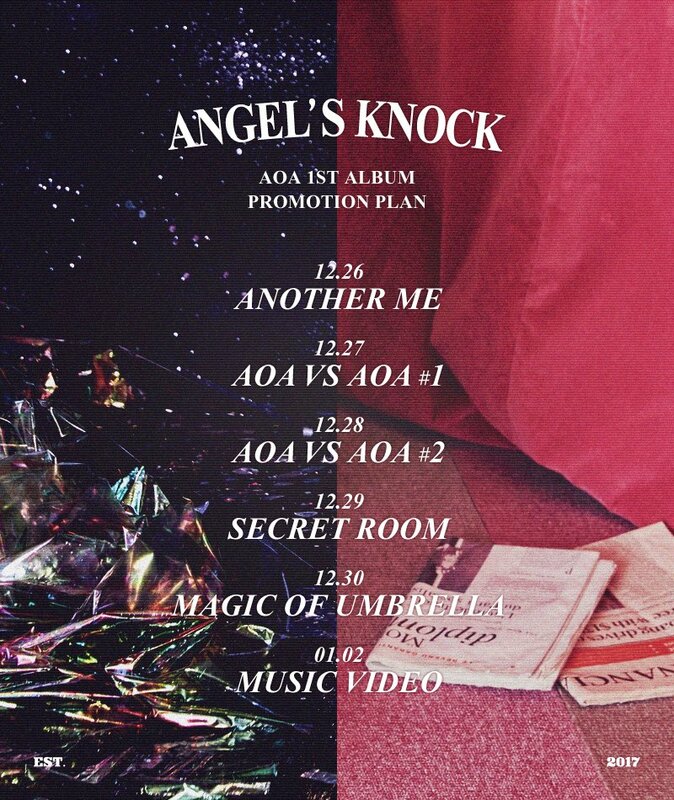 Check out the newly released schedule for the group’s comeback below, and be sure to stick around moonROK for details on AOA’s upcoming release.